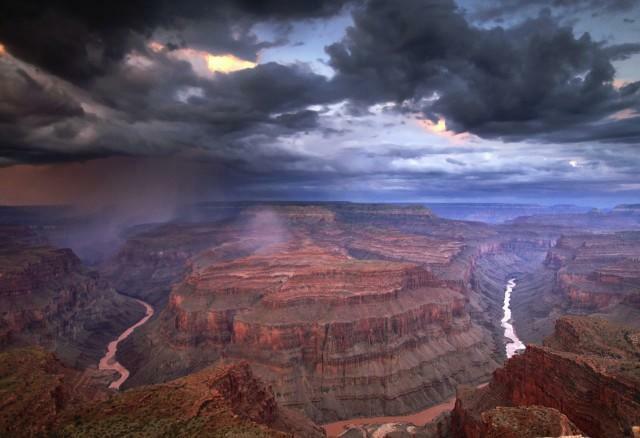 The one and only time I saw the Grand Canyon in person was back in 2009, and it completely blew my mind. If you’ve never been, you’re never fully prepared for what the experience of being there is like; pictures and video just don’t do it justice — not even close. If you ever have the opportunity, I implore you to go without hesitation. It’s more than just seeing the Grand Canyon, but standing there in the presence of something so utterly magnificent. There’s nothing like it. If you absolutely, positively can’t go, then Google has you covered. In the company’s quest to map every inch of Mother Earth, Google is taking its Street View tech (the Trekker) to the Canyon’s trials in an effort to recreate the experience of actually being there. Google is currently collecting photos of the South Rim, and will make the panoramic views available soon through Google Maps. It truly doesn’t match actually staring into the Grand Canyon in person, but for those unable to make the trip, this is the next best thing.